With the start of a new year, there is little that you can do to change your tax liability for last year. It’s history now. About all that is left is preparing your tax return correctly and making sure you don’t miss any deductions that you may be allowed. Like most tax rules, there are a few exceptions. One exception is making a contribution to an Individual Retirement Account (IRA). 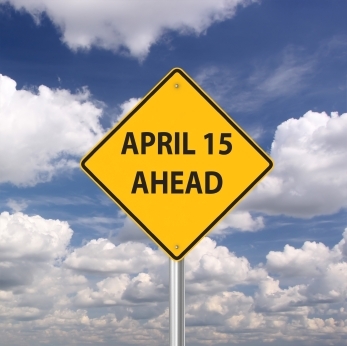 You have until April 18, 2011 to make a 2010 IRA contribution. Be advised that there are many different rules regarding the amount you can contribute and deduct as an IRA contribution. The maximum contribution to an IRA for 2010 and 2011 is $5,000. If you are at least age 50 by the end of the year, you can contribute an additional $1,000. There are several rules regarding the deductibility of your IRA contribution. Your deduction is limited to the lesser of the contribution limit ($5,000 or 6,000) or the amount of taxable compensation included in your gross income. You can deduct the full amount if you are not an active participant in an employer-sponsored retirement plan (there is a box on your W-2 that will be checked if you are an active participant). If you participate in an employer-sponsored pension plan, your contribution is fully deductible if your Adjusted Gross Income (AGI) is less than $109,000 if you’re a joint filer or $56,000 if you file as a single or head of household. Your contribution will be limited if your AGI is above these amounts. No deduction is allowed for a tax year in which the taxpayer turns 70½, or in subsequent years. If your spouse doesn’t participate in an employer-sponsored pension plan, you can make a contribution on behalf of your spouse, provided that you have sufficient taxable compensation. If you participate in an employer-sponsored pension plan, you can still make a nondeductible contribution. The contribution will not be deductible, but the earnings of the IRA will continue to be tax-deferred, which means the earnings of the IRA will not be taxable until you withdraw the funds. If you have not yet made a 2010 contribution to an IRA, it’s not too late. You have until April 18th to make the contribution. It is one thing that you can do in 2011 to reduce your 2010 tax liability. The Fight Over Social Security Reform Are States Preparing for Bankruptcy?